A high quality café has been dished up at offices in the Black Country after two local entrepreneurs discussed ways to improve facilities for businesses and workers. 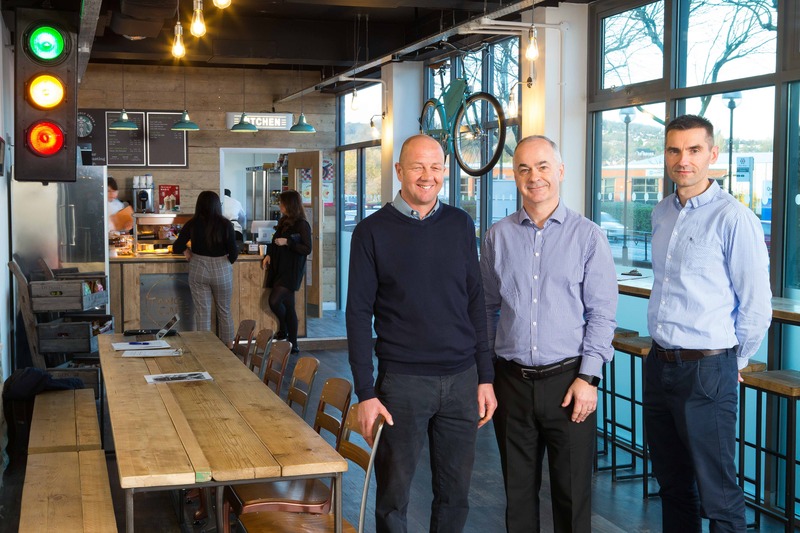 Dominic Goold, managing director of Oldbury-based Goold Estates, and Andy Cleary, managing director of West Midlands-based Tang Food, shared a vision to create a new café serving great food for office workers. As a result, Tang Café has been launched in Oldbury in a £70,000 investment, with stylish interiors inspired by historic manufacturer Accles and Pollock. Tang Food has agreed a 10-year lease on the unit within Black Country House, which is owned by Goold Estates. Andy has been in catering for 22 years and clients include those from both the public and private sector.Tang isone of just a few companies that can offer a Starbucks business alliance partnership. The new eaterie will provide the 300 people that work at the office building with a range of freshly cooked dishes, each made by the onsite chef. It will also provide hospitality services for meetings and events staged by companies based there. Andy said: “Dominic and I discussed the opportunities to improve facilities for employees and the café was a shared vision. We have similar units in London and Birmingham, which have been a great success, and Dominic wanted to make sure he really looked after the office tenants.We specialise in providing clients and customers with fresh, contemporary and tasty food. We believe that, internally, this can help to improve morale, productivity, motivation and keep staff well-fed and happy; externally, this can retain existing clients and attract potential tenants. He added: “There are 300 people in the building and we will provide them with a great choice of healthy dishes. The early signs are very encouraging.” A fully trained chef is able to supply dishes to customer orders including vegan, gluten free and street food options. Local suppliers are used for many food items.